Ever since childhood, I have been a big fan of the maze game. 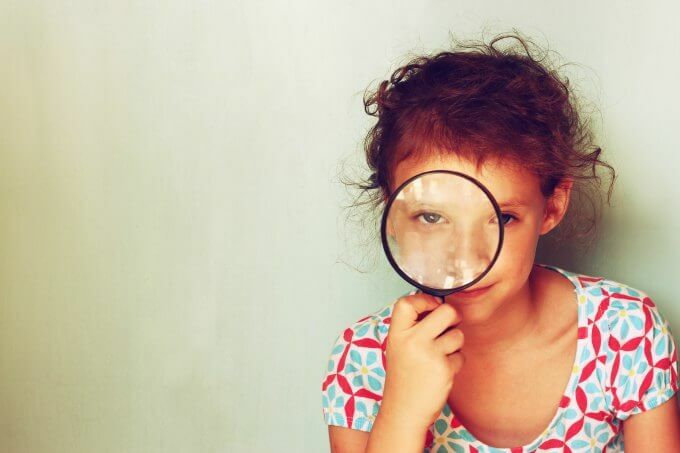 Now that I am parent, I know that maze games are puzzles, making them great for spatial awareness, fine motor skills, and expanding the capacity of the mind. 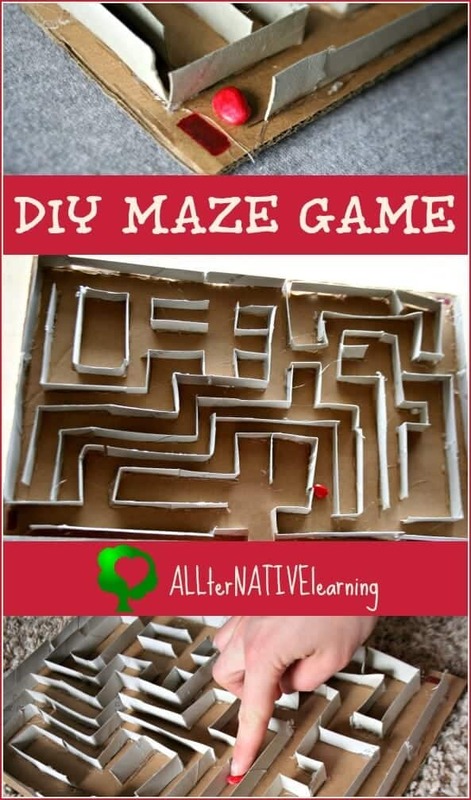 This inspired me to try my hand at a DIY maze game that my toddler could enjoy and explore. 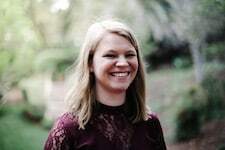 Affiliate links included for your crafting convenience. Thanks for supporting us. 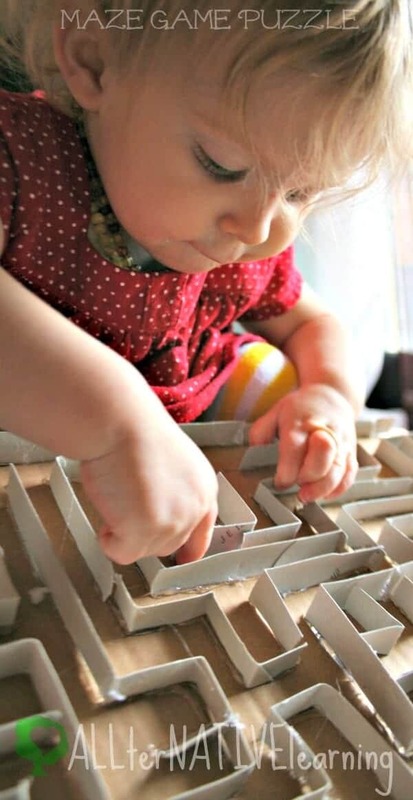 For her, a paper maze puzzle would be too difficult and there’s not really any play based learning there for her. While we have the Labyrinth game, it has holes that make the ball drop out and she’s not ready for that. Also, most maze games are enclosed which means there is little ability for tactile learning and manipulation. 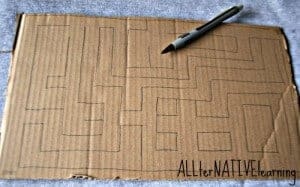 Therefore, I made my own maze game out of cardboard tubes and a regular piece of corrugated cardboard. While we have the Labyrinth game, it has holes that make the ball drop out and she’s not ready for that. Also, most maze games are enclosed which means there is little ability for tactile learning and manipulation. 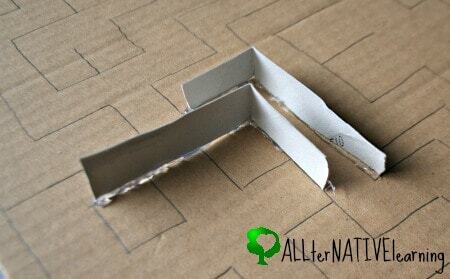 Therefore, I made my own maze game out of cardboard tubes and a regular piece of corrugated cardboard. Also, most maze games are enclosed which means there is little ability for tactile learning and manipulation. 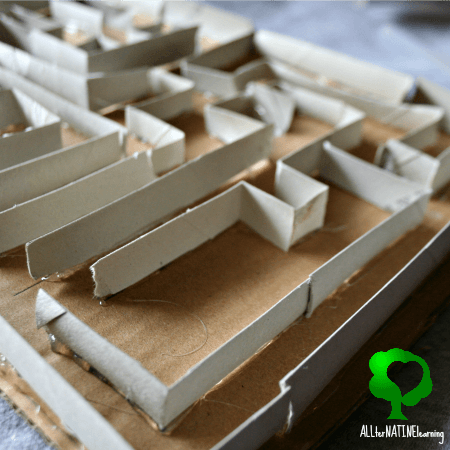 Therefore, I made my own maze game out of cardboard tubes and a regular piece of corrugated cardboard. The first thing I did since I was using toilet paper rolls was I microwaved them for 1 minute to sterilize them. Then I cut them in half and then into strips. (Make sure you don’t cut them right where the roll wraps together or it might unwind). Before I actually clued any walls to the board, I made sure to draw out my maze. I wanted to make sure I had at least one clear path from start to end and I didn’t want to mess it up by not planning ahead of time. I actually made two or three correct answers so that I could encourage my daughter to find another path from start to finish. Drawing it first also made it easier to glue each strip down because I put the glue down and then placed the tube strip on the glue. Also, it’s a lot easier to glue from the center outward so it’s cleaner and easier to assemble with the glue gun. I think cleaned up the glue pieces, colored a white bean red (to match the red beginning and end marks) and then we were ready to play! At first I thought this may be a tiny bit too advanced for my 16 month old, but it has been a big hit. She loves to move the red bean around the maze with her finger. I also decided that I like that the maze game is not self-contained because she loves when the bead pops out when she finished the maze! It’s like the reward for figuring it out. It’s also great for her to practice fine motor skills as she moves the bean through each twist and turn. We also played it together and worked on gross motor skills be holding the cardboard base to shake and wiggle the bean from start to finish. With so many ways to play, this has been such a fun game for us. And if you think this is a great idea, find more of my upcycle projects here. 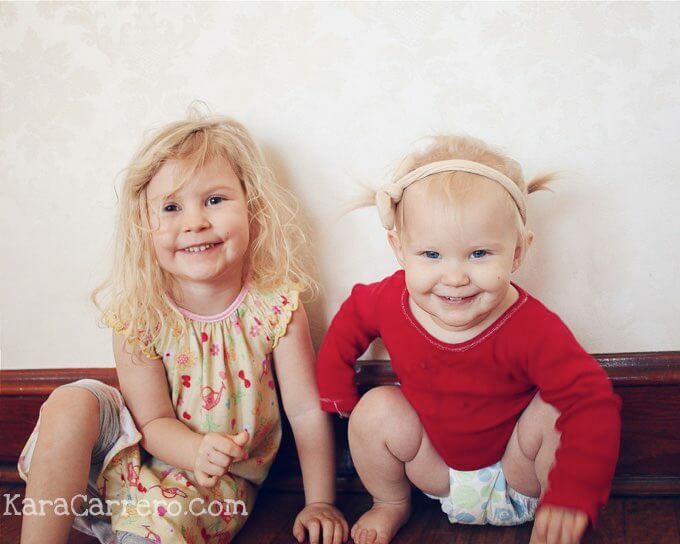 As always, please supervise your children while making and/or playing with projects. Only you know what is age appropriate for your child. 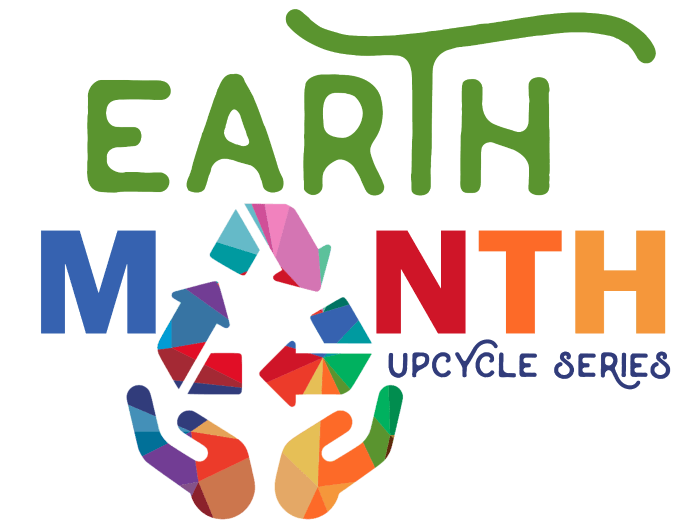 Check out other cardboard and paper upcycle projects! Previous Post: « Your most important legacy, mom, starts at the dinner table. What a great idea! I might have my older kids try to make their own. Thank you! That would be a really fun project…even if they just drew out their own maze, it would be so much fun seeing it come together from their perspective. This is so great! You have so many fantastic ideas 🙂 I really like the idea of recycling toilet paper rolls into crafts/games, but I wasn’t sure how sterile that would be. We don’t own a microwave so I can’t throw them in there. Thanks Yuliya! It’s funny that you mention not owning a microwave because I NEVER use ours and tried to get rid of it about a year ago but it survived because my husband demanded that to stay. I had to clean it for the picture 😉 haha. You can sterilize them in the oven if you need to find a different avenue! Ooh! I didn’t think that the oven would work. I have set baking paper on fire in the oven twice, and didn’t think that that would be a safe activity for me. Small fires, easily resolved, but still. I’ll ask my husband to do it 🙂 He is the one that convinced me not to keep our microwave. It was pretty weird at first, but now it’s been over a year, and I don’t miss it at all. This is so cool! My daughter loves mazes too and she would flip for this one!